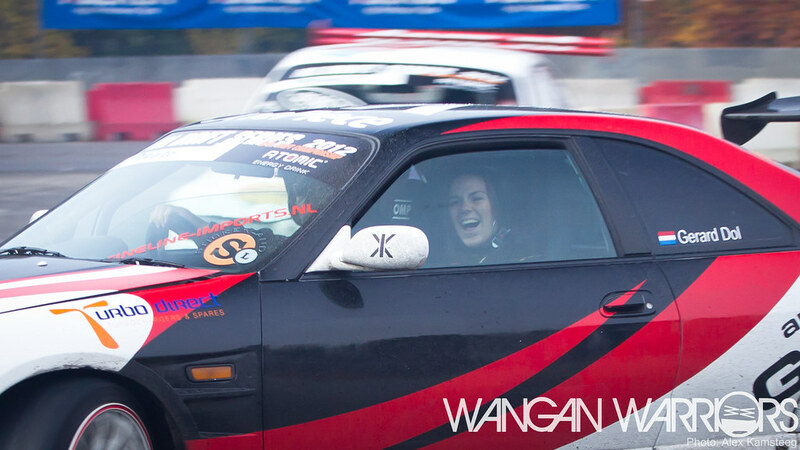 Car life: The sorry state of Dutch drifting? Drifting, the art of sliding a car around a track. Smoke, screaming tyres, a very focussed driver turning the wheel at insane speed and the ocassional crash. And you know what? I’m a fan! 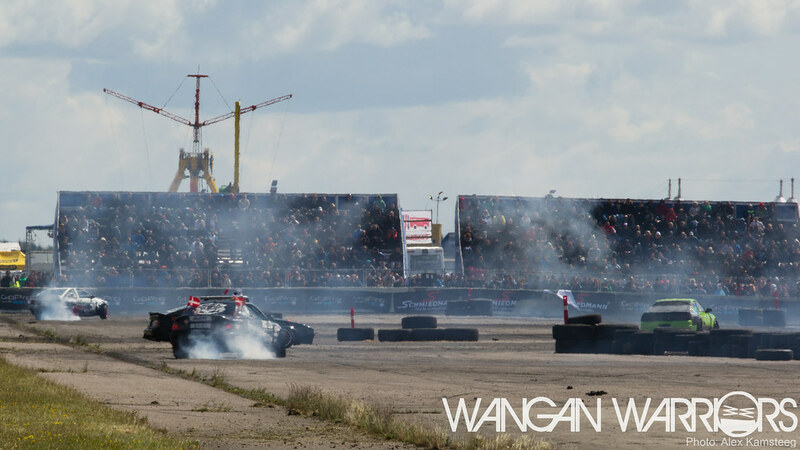 The last few years I visited the Scandinavian Drift Series and the British Drift Championship multiple times, I’m a long time visitor of sites like Driftworks or Drifted and naturally I watch the Formula Drift and I spend countless hours on Youtube watching Japanese drift movies. 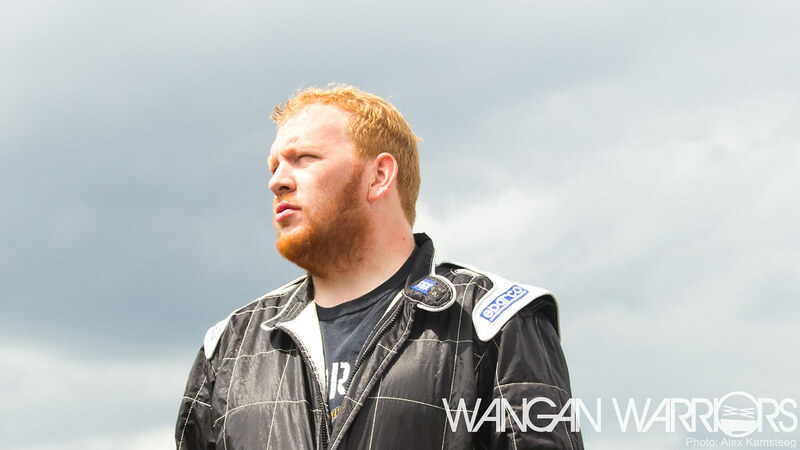 But I wasn’t quite aware of the existence of a Dutch drifting championship until sometime in 2011. 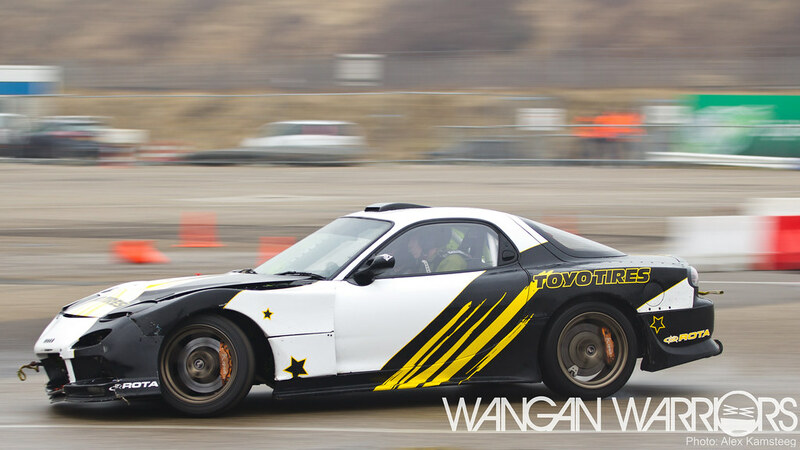 I discovered the site of the NL Drift Series by accident and I visited my first round on july the 2nd 2011. I asked and got press accreditation so it also marked my very first visit to a drifting event as a photographer and not as a visitor. And well, since that first visit I photographed most of the championship rounds and demos. Three out of five rounds of the 2011 championship, all three rounds of the 2011/2012 Winter Championship, all four rounds of the 2012 season, numerous grassroots events and demos, etc.  But, there was something missing. That very first round I noticed there were hardly any visitors and there were only two other photographers. 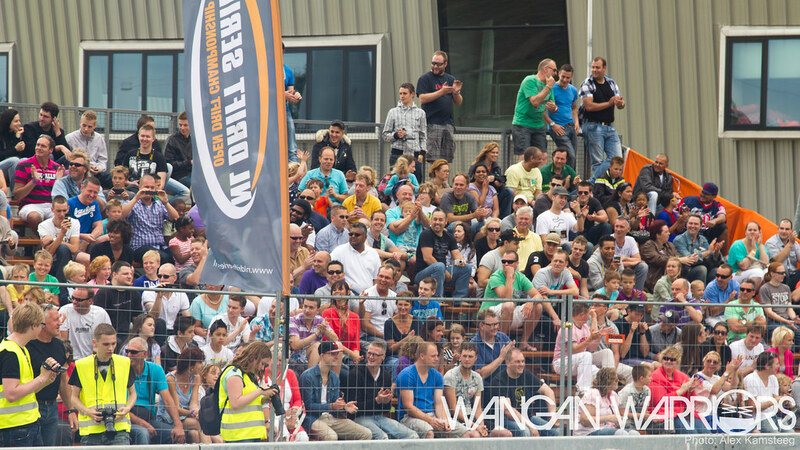 And well, maybe I was spoiled by more than 10000 visitors at the British Drift Championship or Scandinavian Drift Series but I was quite suprised to see only a few dozen visitors here in The Netherlands. But you know, on a beautiful day in the summer only a few gearheads and that big guy with a camera are crazy enough to go to a racetrack instead of the beach right? Right, but it didn’t improve the next rounds. Almost no visitors, a bit of tension between some drivers, a few disputes between a few drivers and the organisation. And then it all changed. I originally thought round 2 of the 2012 season was the turning point, but in hindsight it was a weekend in march with both the last round of the Winter championship and the first round of the new season. Everything, except the freezing weather, felt good that weekend. Good vibe on the paddock, a lot of visitors, lots of cars and a very very exciting end of the Winter championship. Although I certainly lost a limb or two to frostbite I had a lot of fun that weekend. And then, the second round of the 2012 season. It was awesome, in every aspect. Beautiful weather, lots of smoke, a challenging track for both the drivers and the photographers and most importantly, an enormous amount of visitors. The whole place was packed! The grandstands couldn’t hold more people, they were standing three rows thick at the fences and everybody had a big smile on his or her face. The track was spectacular for the visitors but difficult for the drivers. A fast first corner, with a difficult bump, followed by four tighter corners where the drivers really had to step on it to keep their car sideways. That bump in the first corner disabled more than one car when attacked at the wrong speed or angle and the cars generated a lot of smoke and noise in the tight corners near the grandstands. 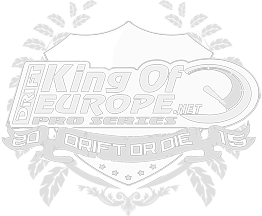 For round 4, the NL Drift Series organisation managed to find another new location, a parking lot in Amsterdam near the Arena soccer stadium. And to be honest, I thoroughly hated the track. It was insanely difficult for me as a photographer and it took the drivers quite some time to drift it properly. Luckily the track was altered for the second day to something a bit easier and safer although it was still quite challenging for me. But did it matter? No, because the weather on sunday was good, the visitors were cheering, the track dried and smoke appeared from the rear wheels. I had fun, the drivers enjoyed themselves and the crowd stayed until the end when they ran off to buy tickets for the drift taxi. And you know what? I think that is the most important thing for me. I stopped caring about the number of visitors, I stopped whining about the hideous backlight from the sun through the trees and I stopped cursing that stupid track when I realised I was actually having a good time. I was cheering, clapping and laughing and I think I wasn’t the only one who had fun. 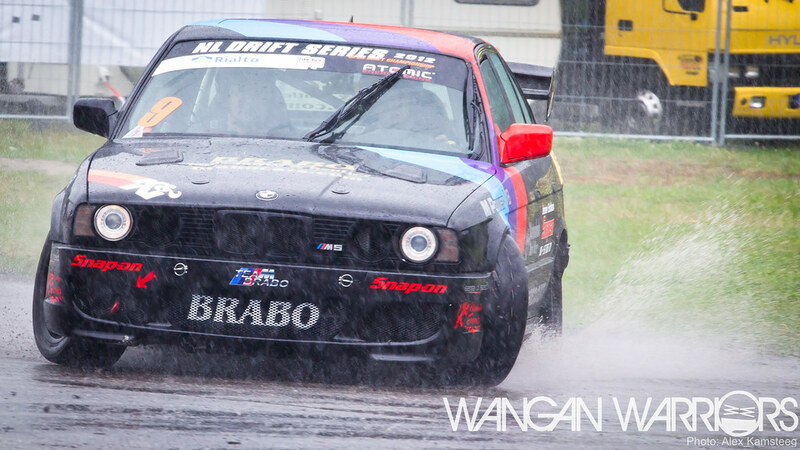 It dawned on me that I love drifting because it is so much more than just smoke and screaming tyres. I like the comradeship between the drivers, I like how visitors are standing so close to the action and are even able to ride along and last but not least, I like the diversity of the cars and people. 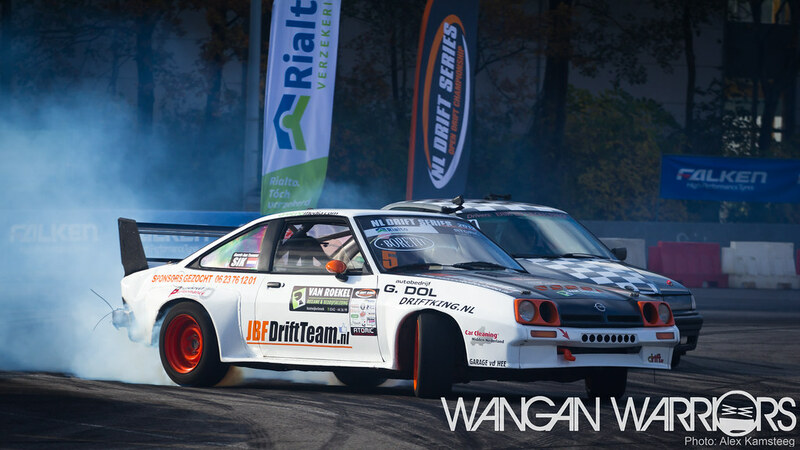 There’s a drift car for every budget and name one other race class were you can see a thirty years old Opel Manta with a BMW M3 engine race against a BMW with a Toyota 1JZ under the bonnet after it competed against a Porsche powered Volvo? Now, at the end of the 2012 season it is time to look at the future. And for me personally, a 2013 season like the one that just ended would make me very very happy. Rounds on various locations, the eclectic mix of cars and drivers, happy visitors and lots of smoke. That is all it takes to make the next season a success for me. 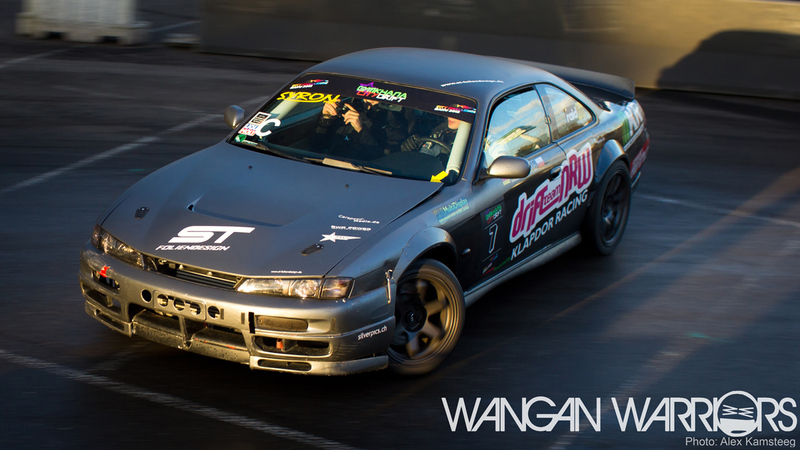 So, dear NL Drift Series crew, drivers, fellow photographers and all the drifting fans out there: Let’s make it happen! Together we can make 2013 an even bigger success than 2012.